The Adventure of Magical Girl is developed and published by Windward_Birds. It was released in 21 Jun, 2018. This is the sequel to “The Legend of Bean”. 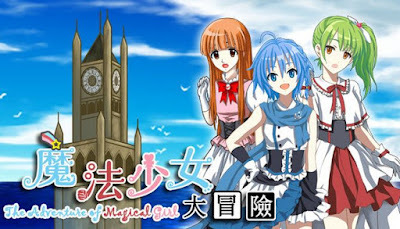 The protagonists this time are three young girls from a magic academy. In the Sea Empire Cadiaden, there is the most advanced mainland magic academy. Firoro, Mirumiru and Kukuri are students from this academy. The protagonist Firoro, makes an extremely bold decision because of a very common matter, causing an irreparable serious consequence, and a great adventure to escape on the edge of life and death is embarked.